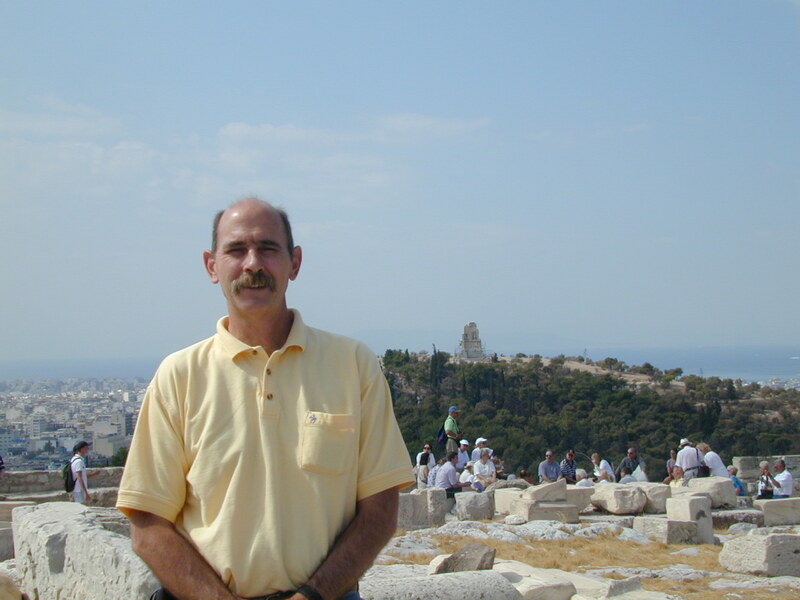 Our first ocean going cruise was aboard the Crown Odyssey and the journey began in Athens Greece where we spent several days before boarding the ship. Our first surprise was the airport… it wasn’t quite as modern an up-to-date as we were expecting. They pushed a stairway up to the jet and we walked into the terminal. Inside the terminal there was one luggage carousel, ash trays everywhere and no sign of customs. We grabbed our bags, walked out to the buses and got on. No customs or anything. It appeared that most of the people on the bus were smoking. Apparently there is little restriction on smoking, or at least there was at the time. 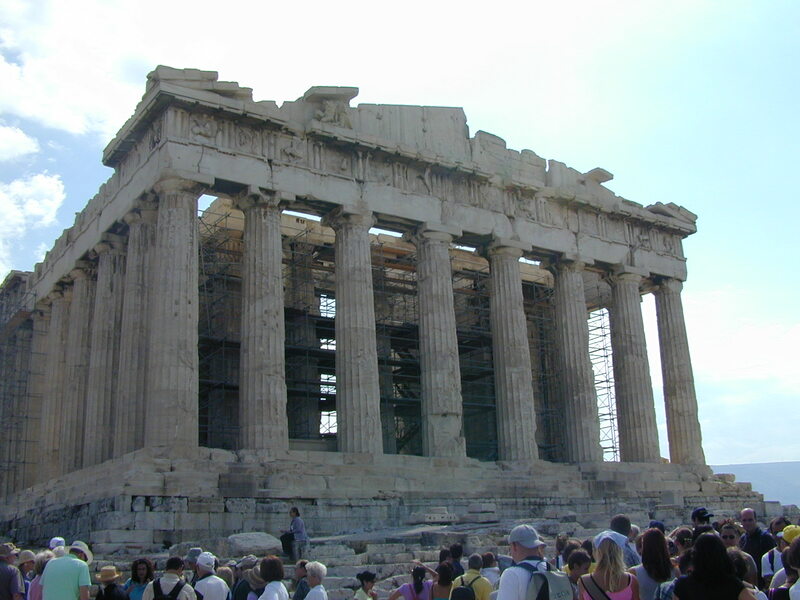 This was a couple of years before they had the Olympics in Athens. It is, I imagine, quite a bit different now. After a short bus ride we checked into the hotel, which was very very nice. 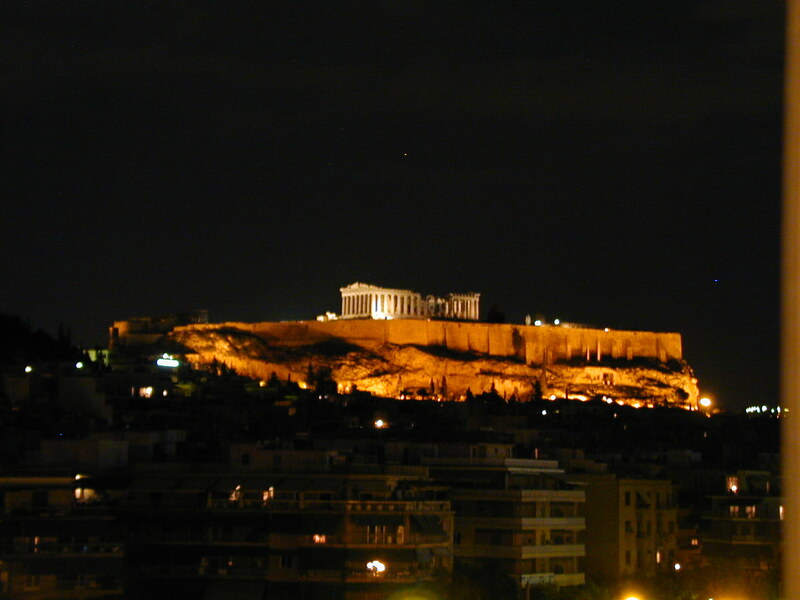 We pulled back the blinds and looked out the window… low and behold… the Parthenon atop the Acropolis was framed in our window! We figured that had to be some kind of good omen! 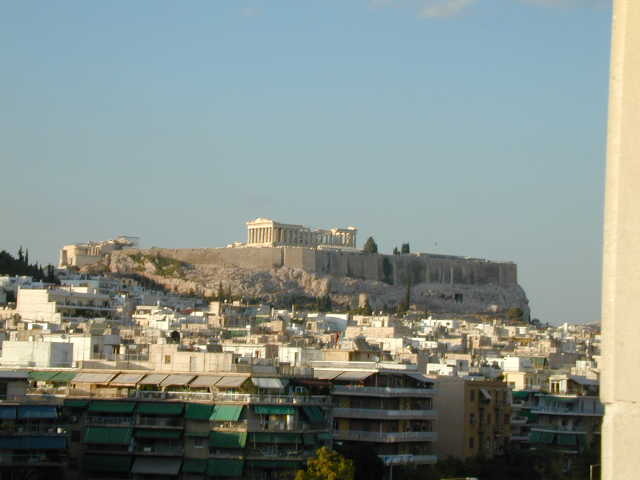 I really love ancient history and it was quite exciting for me to actually see the Parthenon, all the cool ruins, and even the hill where Socrates drank the poison. The view from the window of our hotel room... Impressive isn't it.